Professor Ravi Naidu is the Global Innovation Chair & Director of GCER. He is also the Managing Director and CEO of the Cooperative Research Centre for Contamination Assessment and Remediation of the Environment (CRC CARE), which is based at UON and supports much of GCER's research. Professor Naidu has been involved with contaminants research for over two decades and has gained advanced leadership and management experience in environmental sustainability throughout this period. Professor Naidu was awarded his BSc degree (chemistry-mathematics) from the University of the South Pacific, Fiji, in 1975. The following year he was appointed by the university as Lecturer in Chemistry. He has an MSc degree in soil chemistry from the University of Aberdeen, UK, and the University of the South Pacific. In 1985 he completed his doctoral studies at Massey University, New Zealand, for studies into lime-aluminium-phosphate interactions in soils. From 1985 to 1989 he was Senior Lecturer in Chemistry and Dean of the School of Pure and Applied Sciences at the University of the South Pacific. 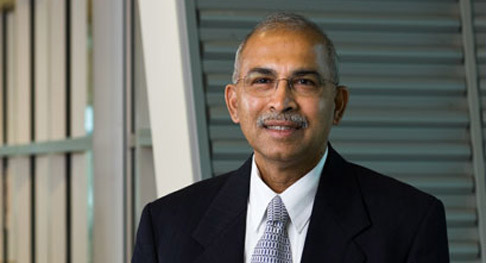 In 1989 Professor Naidu was moved to CSIRO Land and Water in Adelaide, where he was quickly appointed Chief Research Scientist, Research Group Leader and Leader of the Remediation of Contaminated Environments Program, as well as co-ordinator of the Restoring Contaminated Environments Component. While at CSIRO he led the Sodic Soils Program and Soil Contamination and Remediation Program for the Cooperative Research Centre (CRC) for Soil and Land Management. Professor Naidu has co-authored more than 450 technical publications and co-edited 11 books in the field of soil and environmental sciences. Recognition of his contribution to environmental research has included Fellowships of the American Association for the Advancement of Science, the New Zealand Society of Soil Science, the American Society of Agronomy, and the Soil Science Society of America. Two of his joint patents are now fully commercialised with remediation plants treating contaminated waste water in three Australian states. Since 2002, Professor Naidu has won over $175 million in grants. Having supervised 34 PhD completions, he has been instrumental in shaping the next generation of contamination scientists. In 2013, he won the inaugural Banksia Richard Pratt – Banksia CEO Award (Banksia Sustainability Awards) and was awarded an honorary DSc (Honoris Causa) by Tamil Nadu Agricultural University for "outstanding contributions to environmental science and agriculture". Professor Naidu is the Chair of the Standards Australia Technical Committee on Sampling and Analyses of Contaminated Soils, Chair of the Global Committee on Bioavailability and Risk Assessment, Chair of the of the International Union of Soil Sciences' Commission for Soil Degradation Control, Remediation and Reclamation, Member of the Executive Committee, Environmental Geochemistry of Tropical Soils, and sitting member of the Victorian EPA Contaminated Sites Auditor panel.